Most of the users ask question how to change calendar view in Outlook. Calendar in Outlook can be changed to list view or default, but sometimes incorrect configuration may cause error that lets Outlook Calendar View keeps changing or missed important marked events. 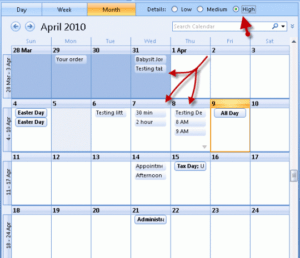 In such cases it is necessary to Outlook Calendar view options. Outlook 2016 calendar has various view options, users can set in to monthly view, week or by day. Users came across situation where the events are visible in day view but not in month and week view. To sort out these errors here are the steps by which one can change outlook view options or how to stop the ‘Keeps Changing View’ error. In this way users can view events in Outlook Calendar.